Anonymous declared war on Donald Trump today in a crappy video announcement with a crappy British accent. They plan attacks on Trump in April. The video is so bad it’s almost like a joke. Hacking collective Anonymous has vowed “total war” against Donald Trump, making a “call to arms” by summoning fellow hacktivists to unite with them in an attack against all of his websites on April Fool’s Day. 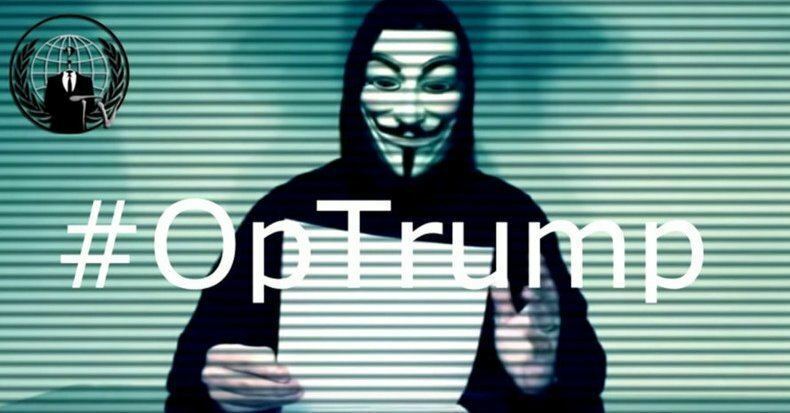 In a resurgence of its #OpTrump campaign, the group released a new video addressing the controversial Republican candidate directly. “Dear Donald Trump, we have been watching you for a long time and what we see is deeply disturbing,” a masked figure declares in customary Anonymous fashion. “You have shocked the entire planet with your appalling actions and ideals,” he continues.